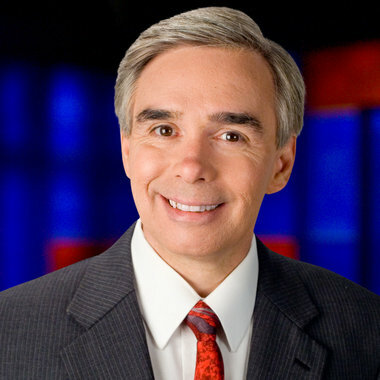 As many local news blogs (including us) reported earlier this month, former WHNT chief meteorologist Dan Satterfield will soon be starting at WBOC, a CBS affiliate in the Salisbury, Md., market. Many of you had questions regarding Satterfield’s move and his departure from WHNT in December 2011. A few days ago, I conducted an impromptu interview with the 32-year weather veteran to try and get some answers to these unknowns. This will be the first of two parts; the second will hit in the next few days. It’s been nearly four months since this site has been updated. The owner said he couldn’t keep this up with all of his other priorities. And that means South TV News is now under new management. Expect more posts soon. Sorry for the delay. And if you’ve got news tips for us, send them to us on Twitter, Facebook or through email! Okay, I went a week without posting. Honestly, there’s this whole scientific reason I did this, which sounds so much better than saying I did this because my Internet access was on the fritz for seven days. Part of the reason is traffic, as in traffic coming to this site. Well, here we are, a scant month into this blog. It seems for me an impossible task, because I’m trying to recreate something I thought was revolutionary so many years ago. And I’ve managed to fill the digital pages of this blog for four weeks now, thanks to other blog sites and the assistance of you, the reader (and possibly, a local news enthusiast). But now, I need more help from you. I’m going to unveil a Facebook page this week to try and get more interest in the blog. Most importantly, if you work in the industry, we need your input, your inside info. As always, your identity will be kept confidential unless otherwise expressed. Because of you, this blog is growing. And I thank you for that. But we can do so much more. And I want to accomplish much over the course of this next month. It started out innocently enough: me, the humble journalism student, trying to rekindle an idea I’d appreciated and followed many moons ago. And I’m still working on it. But my coverage area needs to be scaled down a bit. Example: in the beginning, I planned on covering news involving local affiliate stations in Texas, Arkansas, Louisiana, Missouri, Kentucky, Tennessee, Mississippi, Alabama, Florida, Georgia, North Carolina and South Carolina. I quickly realized just those southeastern states contained more than 75 of the country’s media markets. And I’m just one guy! So we’re scaling down a bit, and in the future, once this venture picks up steam, I’ll start adding states eventually. I plan on focusing on these areas: Lousiana, Arkansas, Tennessee, Mississippi, Alabama and Florida, for now. That essentially cuts my media market list in half and also makes me more accessible to those of you who might want to send tips our way. And remember, this site is nothing without user submissions. Just drop me a line if you’ve got a tip regarding local news stations in those states to southtvnewser@gmail.com. Here’s to a very eventful, fun and challenging new year! More than 140 stations across the southeastern United States have Twitter accounts. On paper, this seems like a good thing, stations trying to bridge this “disconnect” with younger viewers who get most of their news online these days. However, I’ve noticed a disturbing trend; the vast majority of accounts I’ve decided to follow use services that tweet automatically, whenever a story’s been posted to their page. Take it from somebody who’s in college and under the age of 25: we like tweets with information and links, but it needs to be a happy marriage of the two, human and automated tweets. And until I start getting news tips and info from the stations across the region, I’ll be peppering the blog with these types of posts, strictly to give the page some extra content. Feel free to comment/discuss this if you like.